Have you ever had to do a removal from a tight space or crowded house. Cots wont’ fit and back boards get heavy. In this episode I introduce you to a better way. The WauK® board is lighter and narrower than standard cots. With a 500‑pound capacity, this lightweight 30‑pound tool gives funeral directors and coroners a new way to remove the deceased with dignity and respect. Instead of dragging the deceased to a cot, place a WauK® board directly next to the deceased and respectfully “log roll” them on to the WauK® board. The process is easier on the funeral director’s body and is more tactful in the presence of loved ones. The WauK® board is the only removal device that allows either one or two people to lift and then roll a decedent during removal. Quick disconnect handles make it easy to move the deceased into an upright position and maneuver around corners, down stairs, through tight spaces. Sturdy wheels smoothly handle deep pile carpet. And, an extra handle in the large footrest gives an assistant an easy way to help navigate down stairs, over bumps, and into the service vehicle. Once in the service vehicle, WauK® board’s handles function as a brake. The entire board is impervious to bodily fluids and can easily be cleaned/decontaminated. Coroners, Medical Examiner Investigators, Police, and Forensic students. 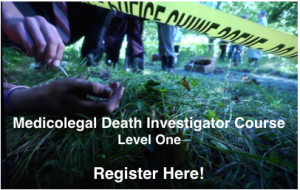 This hybrid course looks at death investigation from a combined perspective of law enforcement and medicolegal death investigations. MLDI online Academy is a Nationally Accredited online training designed to teach all aspects of death investigation and scene management. Unlike any other coroner training today, this course offers a blended learning style combining online self-paced video training, along with opportunities for live interaction with instructors several times throughout the program, and a unique private Facebook group open only to students of Coroner School™ where everyone can interact and ask questions. MLDI online Academy is a six-week guided course with certified instructors. However, at the end of the six weeks, you still have access to all videos, downloadable material, and the private Facebook group. You can return to the online school anytime to finish up the courses or as a refresher in certain topic areas. This exclusive first of its kind Medicolegal Death Investigation (MLDI) kit contains all the items you need to document and collect evidence from the most important piece of evidence at any death scene – The Body. Designed for Coroners, Medical Examiner Investigators, and anyone responsible to investigate and process a death. This kit is equipped to collect fragile evidence such as DNA and fibers, take post-mortem temperatures, document the scene through photography and sketching, as well as properly collect, transport, and store material evidence. 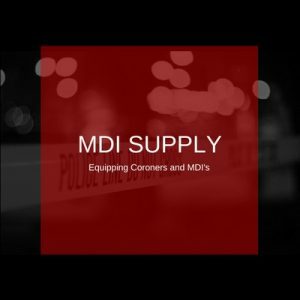 This MLDI Kit can be used in large agencies for multiple MDI’s or one single kit for smaller agencies. Packaged in a sturdy Pelican carry case with custom dividers and a pocketed pouch system. Built strong to withstand the demands from scene to scene. 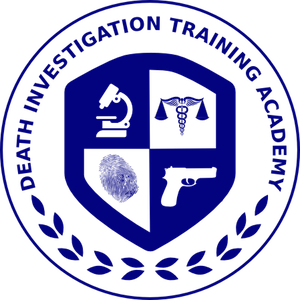 The Death Investigation Training Academy was founded to play an integral role in the death investigation community. The need for quality accredited training is in short supply and high demand. Using a combination of classroom training, live on site scenario exercises, and web-based training, the Death Investigation Training Academy is filling the need of 21st-century investigators. Darren is a 30 year veteran of law enforcement and criminal investigations. He currently serves as an investigator for the Crawford County Missouri coroner’s office. He holds credentials as an instructor for the Missouri Sheriff’s Training Academy, has served as president of the Missouri Medical Examiners and Coroners Association, and is certified and credentialed in numerous fields of investigation. He holds the position of lead instructor and facilitator for the Coroner Talk™ community as he speaks and writes in the area of death investigation and scene management.